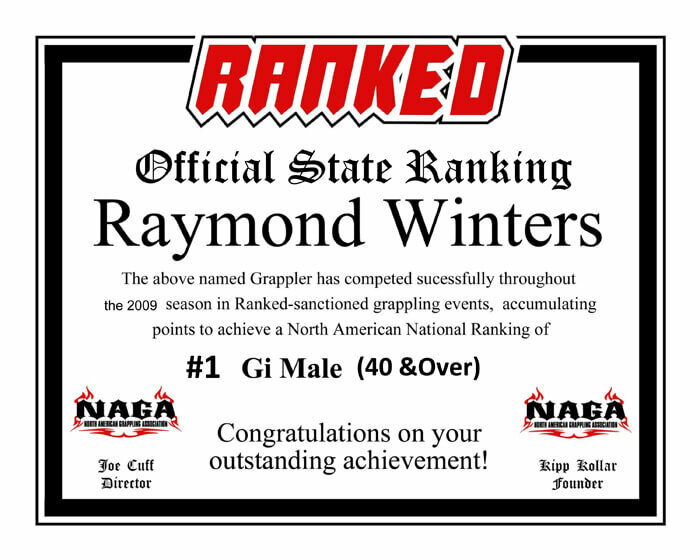 Since 2005 I have been a member of a Brazilian Jiu Jitsu club, Sergio Penha Brazilian Jiu Jitsu. 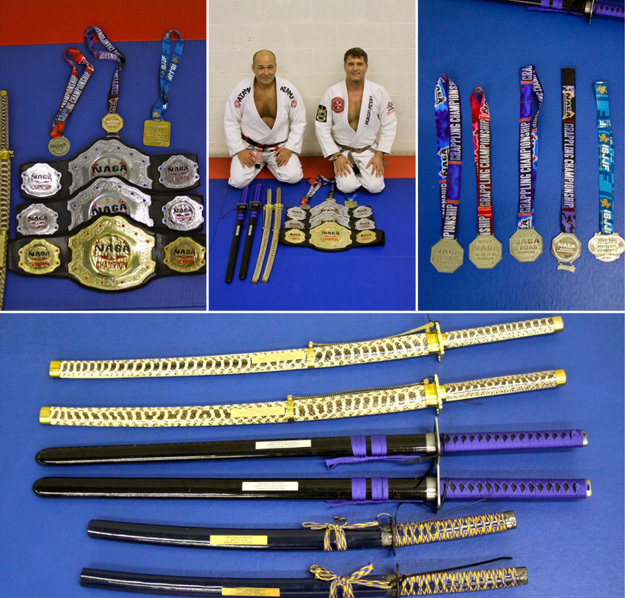 Brazilian Jiu Jitsu is more than just a sport; for me it is a way of life. 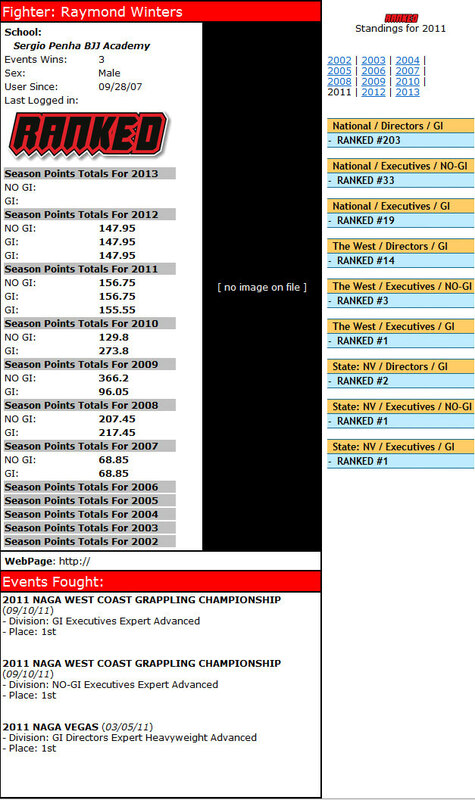 I have learned a lot since I began my training in Jiu Jitsu. I know now that if you give it your all, for every second of the fight, and if you don’t give up, even if you lose, you still win. That is if you can truthfully say you really tried 100%. 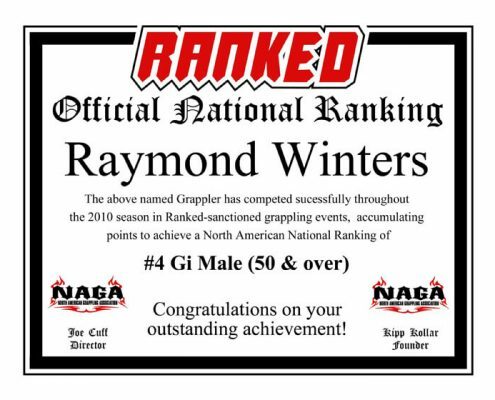 In 2010 Raymond Winters was featured in an Issue of TapouT Magazine. 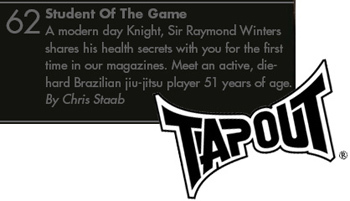 You may view his TapouT article HERE. 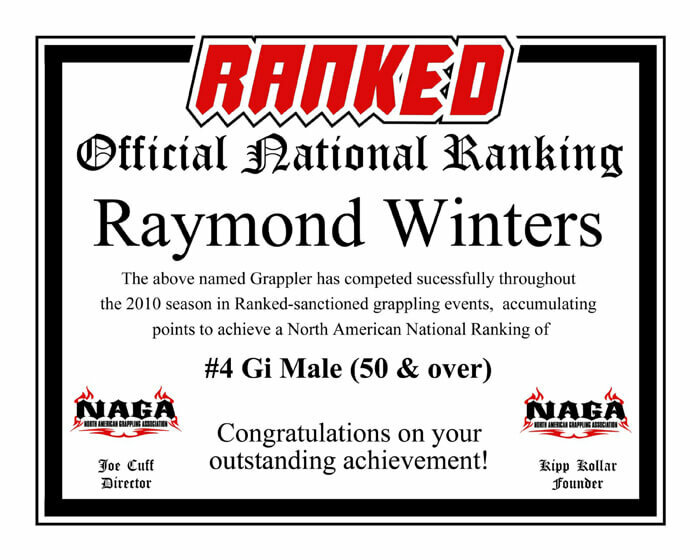 and Raymond Winters at NAGA Las Vegas, 2011. View More Raymond Winters Brazilian Jiu-Jitsu Pictures HERE. 7th Degree Red and Black Belt, Master Sergio Penha and Raymond Winters at NAGA Las Vegas, 2011.